Another American Century or will it belong to Someone Else? The 20th century was the American Century. However, Chinese competitors have made a bid for ownership of the 21st century with a series of audacious global projects such as the 3 Gorges Dam, a Space Station, the New Silk Road (otherwise known as the Belt and Road Initiative) and more. Our friends in Europe, Japan, South Korea and India are staking their own claim on the future by investing in advanced industrial technologies, new space launch systems and more. And everyone is headed to the Moon already—is the US too late ‘out of the blocks’? Can America counter Beijing with a vision that’s just as bold, and surpass the technological objectives of our allies? One planet-changing American vision exists, and it’s in its early stages of execution. So says Howard Bloom, author of six books, co-founder of the Asian Space Technology Summit, and founder of America’s Space Development Steering Committee. Bloom will reveal that American vision on Sunday May 27th at the National Space Society’s International Space Development Conference in Los Angeles. A hint: the pioneers of the new vision, the vision that could enable America to lead well into the mid-21st century, are Elon Musk, Jeff Bezos and a handful of others. And Musk and Bezos’ actions could crack open ‘the coconut’ of a whole new kind of economy, a space economy. The space economy is already generating $330 billion per year, more than the economic output of Denmark. In the new space economy, the resources of just one modest asteroid—the platinum, cobalt, gold, and rhodium—could be worth more than the gross domestic product of Japan, Germany, the United Kingdom, France and India combined. The first steps are being taken now. Elon Musk is working toward cities on Mars. And Jeff Bezos foresees a future in which millions of people live and work in space. In a true space economy, a million people will live throughout our solar system, resource mining and heavy industry will take place in the heavens, and Earth will be a residential zone where humans build their cities, dance, play, and enjoy nature. Even the poorest humans will grow rich on the treasures of space. Now the question is this: can the space dreams of Bezos, Musk, and other new space pioneers become reality fast enough to assure that America maintains her global leadership, that the 21st Century is an American Century. A lot depends on a small group of visionaries in the U.S. House and Senate. 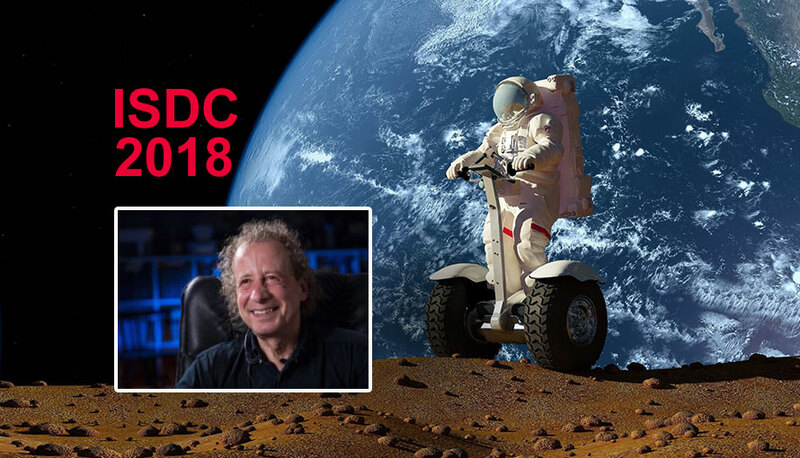 For the details on the China vs. America challenge, come to Howard Bloom’s seven-minute presentation at 11:04 am at the National Space Society’s International Space Development Conference, the Sheraton Gateway Los Angeles Hotel, 6101 West Century Boulevard. Howard’s observations are insightful. He remains a unique catalyst in the space community for continuing to remind us of America’s challenges and how to meet them.